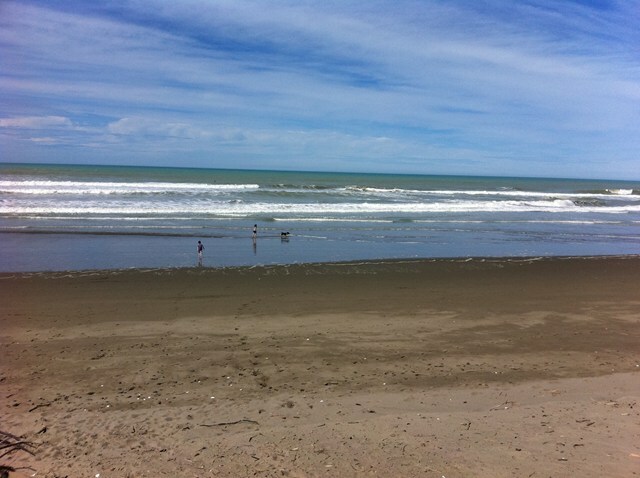 Waikuku beach is popular for most recreational activities, particularly in summer, and a number of families from the region holiday here. Good facilities are available for use. The safest conditions are in surf conditions under 1 metre, but all users should be constantly aware of the conditions as the exposed nature of the coastline means dangerous rip currents and holes can develop quickly. Lifeguards patrol the beach throughout the summer weekends, and during the week days of the school holiday summer break period. This beach is well suited for families, make sure your family is prepared for the beach conditions, the beach is patrolled by Surf Lifeguards during the summer months. Swimming at Waikuku is safest in surf conditions under 1 metre, and most popular in the summer. The area is quite a popular holiday spot for people in the wider Canterbury region, and the numbers in Waikuku swell at this time. The beach slopes gently into the ocean. In larger seas, dangerous holes and rips can develop. The beach is patrolled in the summer months during the weekends by volunteer guards, and during the school holiday week period by professional guards. In modest surf conditions there are rip currents to be aware of, so people should swim between the flags at all times. At low tide, a gutter forms between the sandbars, and the waves tend to dump onto the second bar. Swimmers should be wary of swimming too close to the river mouth north of Waikuku beach as rip currents can be associated with it. 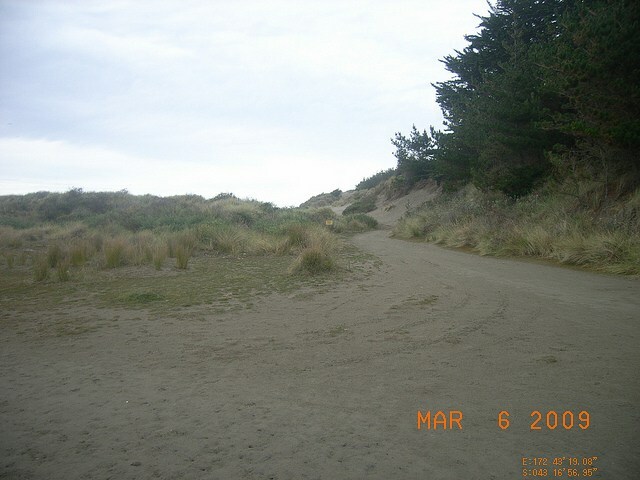 As this area of Canterbury coast line is quite exposed, the beach is very open to environmental conditions. There is rarely no waves. 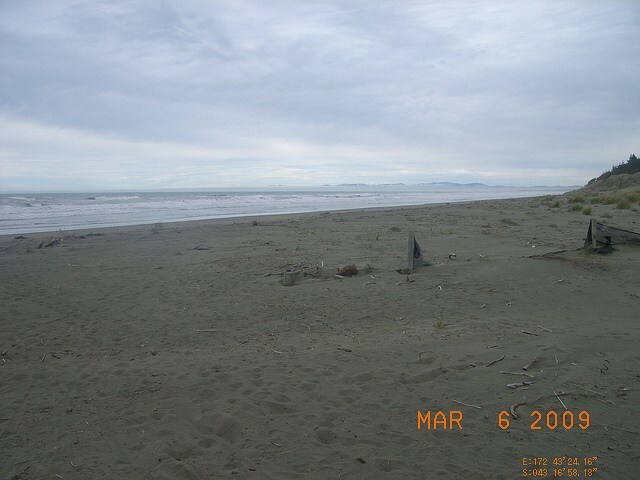 Waikuku has a beach break which is offshore in northwest - west winds. The best tide to surf on varies but is generally better just before and just after high tide. At low tide the waves tend to dump a lot more.There are usually 2 bars, but more can develop in larger seas. Favourable conditions are not a consistent feature. Surfcasting is possible off Waikuku beach but due to the shallow nature of the Canterbury coastline, offshore fishing is better. There are no rocky headlands to fish from. Fishing is popular at the mouth of the Ashley river about 1 km north of Waikuku beach. The beach is our favourite playground, but it can also be a dangerous place. Learn about the hazards at Waikuku Beach and be prepared so you and your family can enjoy the sun, sea and sand safely this summer. Waikuku Beach is a patrolled beach. Stay safe - swim beween the flags. Sorry, the webcam is currently unavailable. Waikuku Beach is patrolled on Saturdays, Sundays and Public Holidays between 17 November 2018 and 17 March 2019. Volunteer lifeguards patrol from 11:00am to 5:00pm. A Regional Lifeguard Service is provided Monday to Friday from 10:00am to 6:00pm during 17 December 2018 to 25 January 2019. 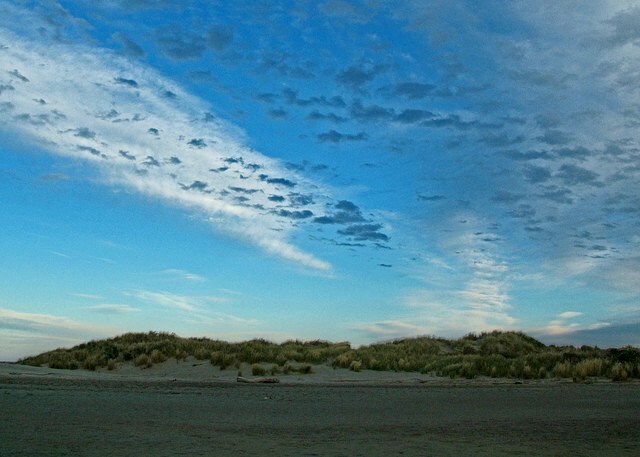 Waikuku Beach is a golden sand beach 2000 metres in length located 3 km northeast of Waikuku. It has no protective natural features exposing it to the environmental conditions. The beach slopes gently into the ocean. Waikuku SLSC is located midway along the stretch of beach and is the main focus for access and facilities. The beach has good facilities. About 1 km north of the beach is the river mouth of the Ashley river. 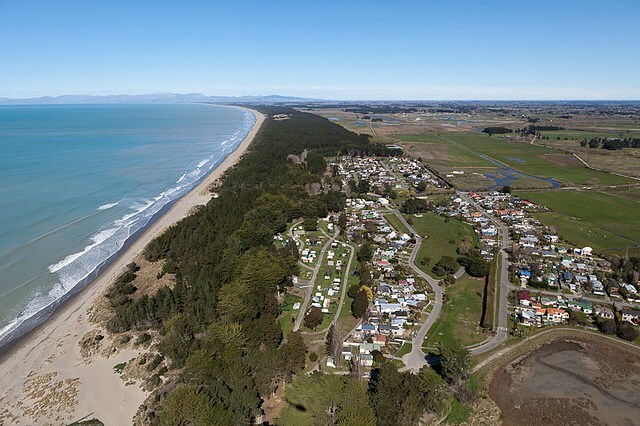 The beach is backed by residential homes, campsites and farmland. Sorry, we have no public transport information available for this beach. No comments for this beach yet. Be the first! The Overall Recreation Risk is a guide to give a general picture of water quality at a site. Updated annually, it is calculated from bacteria (enterococci) data collected over the last three years. The Overall Recreation Risk indicator is a precautionary approach to managing health risk and is not designed to represent health risk on a particular day. As such, a site can have an Overall Recreation Risk of ‘Caution’ but still be suitable for swimming some of the time. Many councils also provide the results of their weekly monitoring. This lets people know what the most recent bacteria levels were. Remember, even sites with low risk can be unsuitable to swim at from time to time and we recommend that you avoid swimming for 48 hours after heavy rainfall.